Tanjev Schultz is a Full Professor of Journalism at the Johannes Gutenberg University in Mainz, Germany. 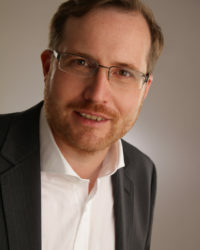 For more than ten years he has worked as an editor and reporter for Sueddeutsche Zeitung, Germany’s largest quality daily newspaper located in Munich. His journalistic work has won several prizes and focused on politics, education, extremism, terrorism, and security agencies. He is the author of books on TV talk shows, on educational policy, and a plagiarism scandal in Germany. In 2017, he co-authored a book about the Ku Klux Klan in Germany. He is currently working on a book on Germany’s right-winged terror group “NSU” and the failures of the police and the secret services. In his academic research, he deals with media ethics, trust in the media, digital journalism, and data-driven journalism.